A whole recording with just double bass and drums? You bet! This is an innovative and challenging project by a young bassist from Norway. 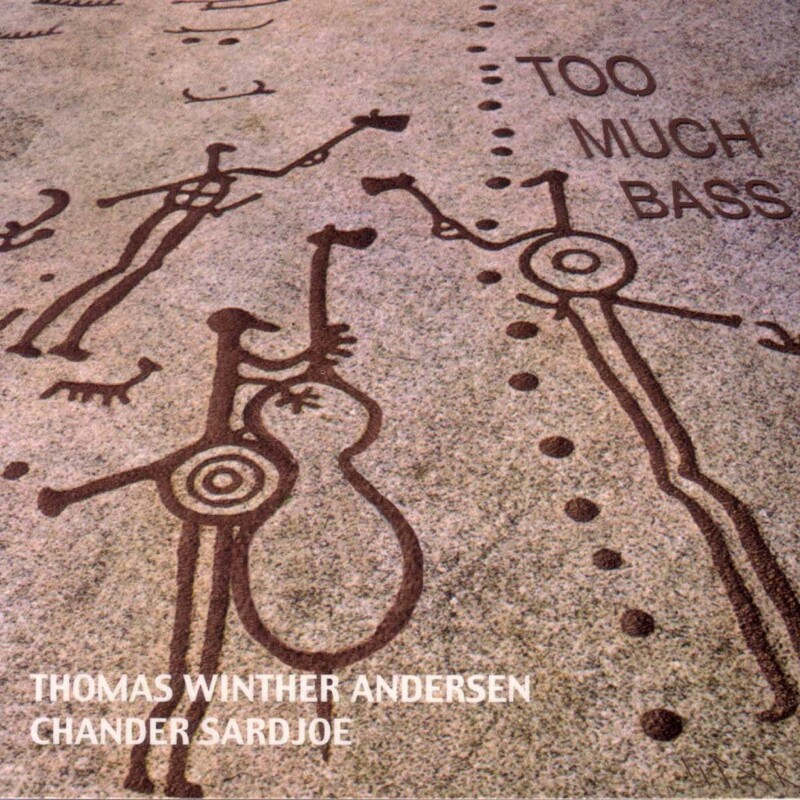 Thomas Winther Andersen brings an interesting and appealing approach to his three original compositions and the four jazz standards on this CD. On the beginning track, Waltz For Debby, Andersen opens the Evans Lees piece with a soulful introduction and proceeds in to the waltz accompanied by Sardjoe`s tasteful brushworks. Bass To Bass is a funky downhill groove. You can almost hear both players smiling. The John Coltrane classic Giant Steps shows off Andersen’s facility with an arrangement that features the drummer Chander Sardjoe. Interlude is an original by the bassist and he performs this solo, a pensive and lilting dance on the strings. Charles Mingus`Goodbye Pork Pie Hat again features the fine brushwork of Chander Sardjoe and the lyrical interpretation of this classic by Andersen. A challenging Latin arrangement of Black Orpheus allows Andersen en Sardjoe to play tag with the melody and features a tidy solo by the drummer. The final and title piece, Too Much Bass?, is in three parts. The first movement is inspired by the long notes of the Australian instrument, the didgeridoo. The second is a slow swing piece, while the third movement features interplay between bowing and pizzicato, giving the idea of two lines flowing simultaneously.